With the designated "Day of Love" approaching, the origins of this relatively new holiday appear more ambiguous than most. Truth be told, Saint Valentine's Day, or just Valentine's Day, does not have a significant historical basis, but rather has emerged in the recent epoch, to fill a necessary void. 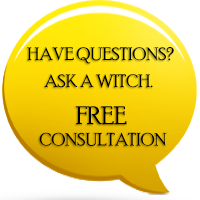 Many concepts have been associated with Valentine's Day over the previous centuries, including romantic love, hearts, Cupid with his bow and arrow, as well as the exchange of greeting cards and gifts. None of these traditions, however, are very relevant to the original Saint Valentine. In fact, it is difficult for even the most capable scholar to determine which St. Valentine we celebrate. 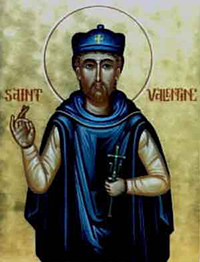 There have been various martyrs of Christianity with the name Valentine, three of which are honored on February 14th. 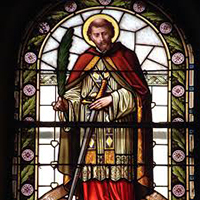 The first is Valentine of Rome, a Roman Priest who was martyred in the late 3rd Century A.D., and buried in Dublin, Ireland. The second is Valentine of Terni, who lived around the same time period. It was this Valentine who was executed by the Roman Emperor Claudius II for attempting to convert the Emperor to Christianity, as well as for breaking one of Claudius II laws. There is very little known about the third martyred Valentine, other than that he was martyred and buried in Africa, with many companions. "For this was Saint Valentine's Day, when every bird cometh there to choose his mate." From the publishing of Chaucer's work forward, Saint Valentine's day became associated with love between two individuals. The three martyred Valentine's essentially fused as one, for clarity's sake, and a new holiday emerged. Though Valentine's Day is primarily celebrated in Western and Christian Culture, there are cultures in the Middle East and Eastern Asia that do recognize February 14th as a designated "Day of Love." Also, due to its lack of tradition and historical significance, this holiday has been criticized as a commercially-created day, for companies to increase their sales, etc., etc. I say, however, that despite our uncertainty of each of the Saint Valentine's roles in history, the corporate commercialism that has been pressed upon consumers during the approach of Valentine's Day, and the notion that every day should be a "Day of Love", it is nice to have a holiday dedicated to our hearts and the relationships that we have formed with others. We wish you all the best on this year's Valentine's Day! Long ago I couldn't tell you who it was that told me, but they said and proved that valennes day was the celebration of some stinking war that had left hundreds dead, and the celebration of it via flowers is condoning that war is okay along with all that, so for along long time I totally stopped cause I don't condone war, so this time it is what it is, happy valentines day, mom, hope you enjoyed those gourmet chocolates . THANK YOU, and LOVE, is for ALL ,for the Love is the greatest Higher, Emotion, we can Share,and when we Give Love From the Heart, INNER self, it will ALL Come Back, Have a Good/Blessed Day, with Light, Life, and LOVE. Peace be with you, ALL. Good to no. Did not no this.